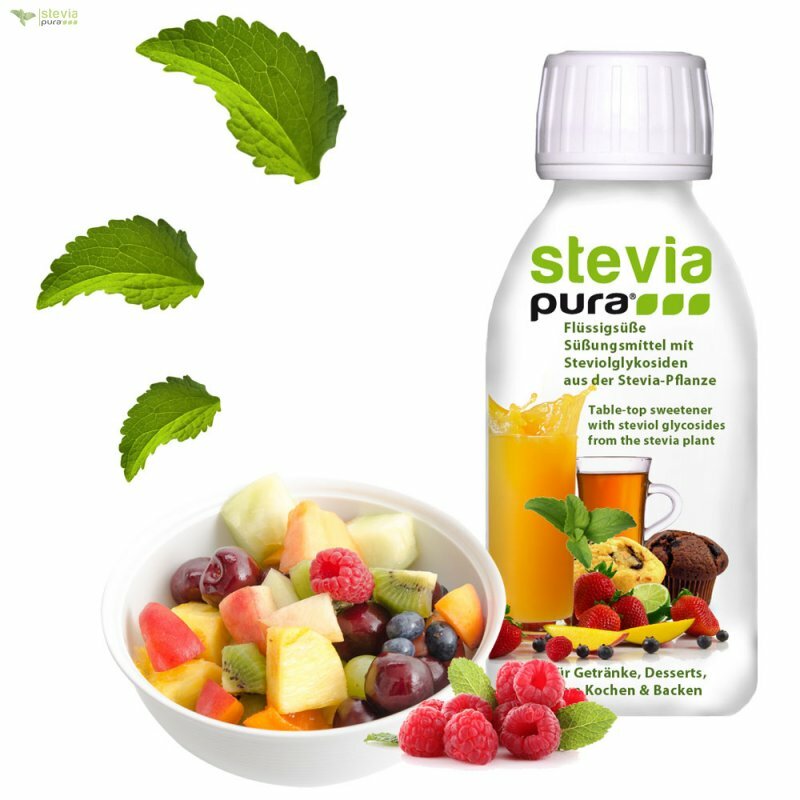 Stevia Liquid Concentrate also called fluid comes in a practical drip dispenser without alcohol. 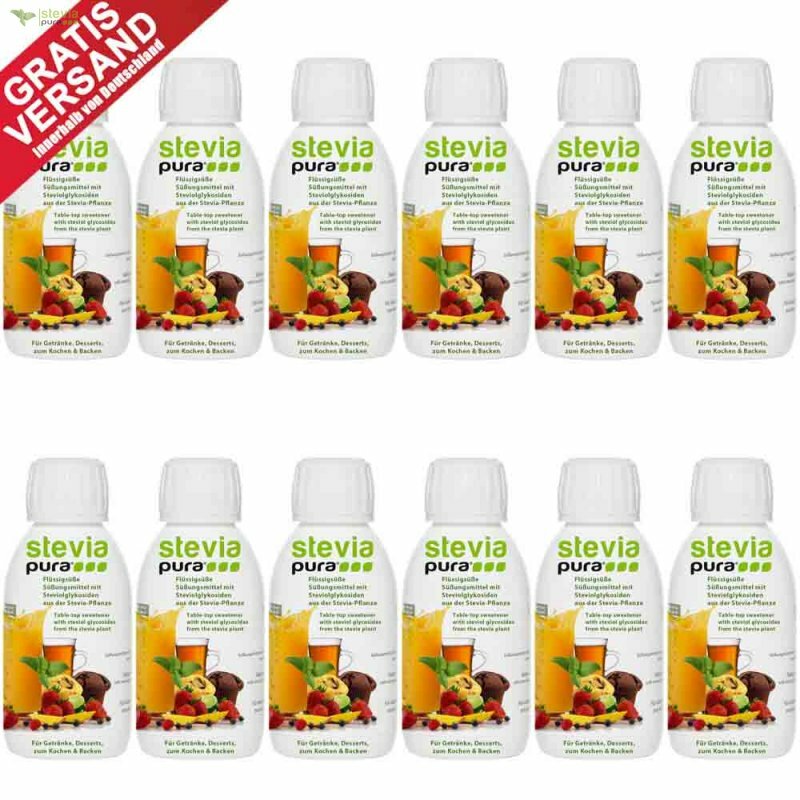 This steviapura ® quality product is a clear Stevia liquid table top sweetener and is made from gently extracted leaves of Stevia rebaudiana Bertoni plant. The bottle with convenient dropper to drip precise dosing is very economical and effective in its use. 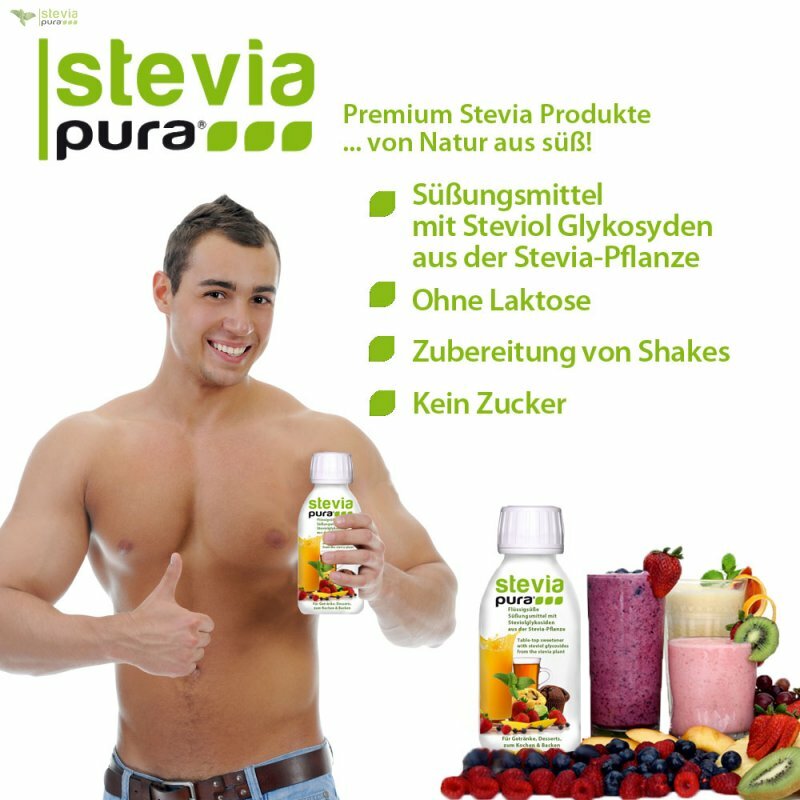 In contrast to the Stevia Stevia Syrup or Dulce the Stevia concentrate is virtually free of bitterness and of high quality. 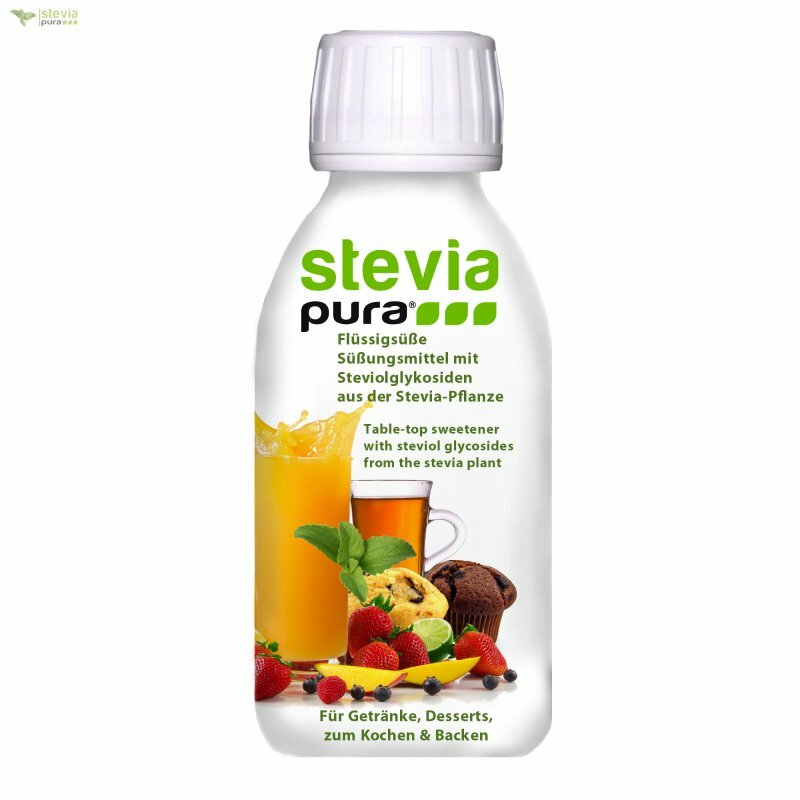 steviapura ® liquid concentrates are free of artificial sweeteners, flavors, inulin, lactose, maltodextrin and sugar.